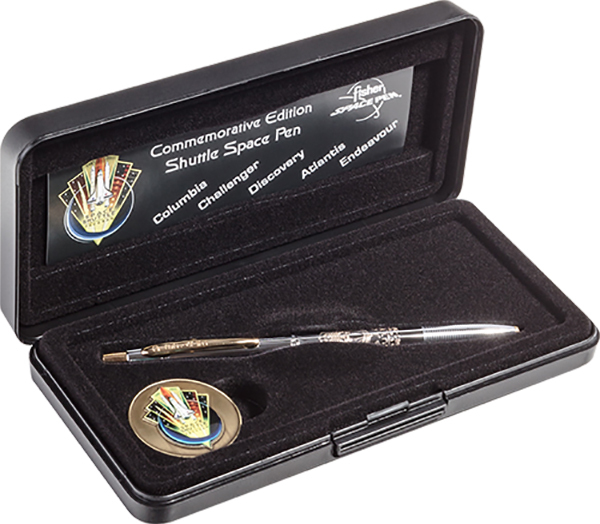 To commemorate the remarkable achievements accomplished during the 30 years of the space shuttle program, Fisher Pen Co. is announcing a new Space Shuttle Commemorative Pen and Coin Set. 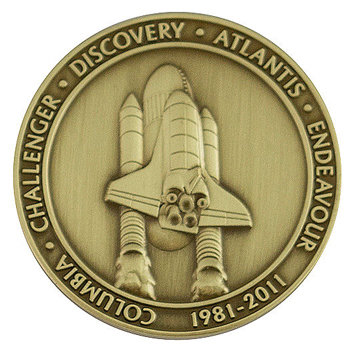 This keepsake set highlights this illustrious program, and pays tribute to each of the Space Shuttle orbiters in the fleet, while the coin colorfully commemorates the final Shuttle Patch. 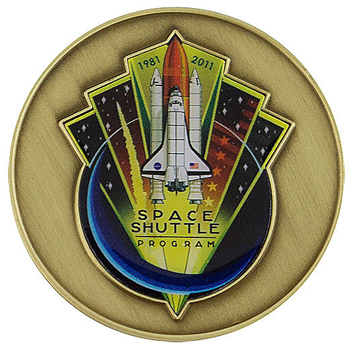 The Space Shuttle Commemorative Pen & Coin set was designed as a cherished memento to the dedicated individuals involved in the space shuttle program, as well as a keepsake to remember the remarkable technological advancements developed during the past 30 years. Our CH4 specially engraved with Commemorative Coin.